We received a copy of Lady and the Tramp to help with creating our Paw Print Spaghetti Cups. Not only did Coco get released this week on Blu-ray and Digital HD, but so did a Disney classic. Originally released in 1955, Lady and the Tramp has been released on Disney’s Walt Disney Signature series. With the film being re-released with a ton of new bonus features and what not, we thought it would be fun to create a new recipe. Thus, we came up with our Paw Print Spaghetti Cups! Lady and the Tramp has one of the most famous dining scenes in film history. Lady and Tramp visit Tony’s Restaurant for a romantic date. 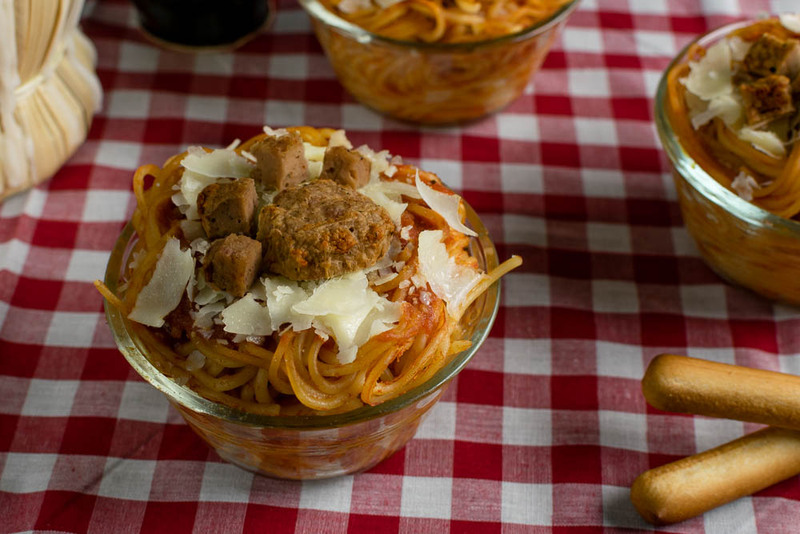 We knew we had to create a spaghetti recipe, but didn’t want to just re-invent the wheel. Instead, we created some fun Paw Print Spaghetti Cups. These cups are easy, relatively quick, and are sure to impress. 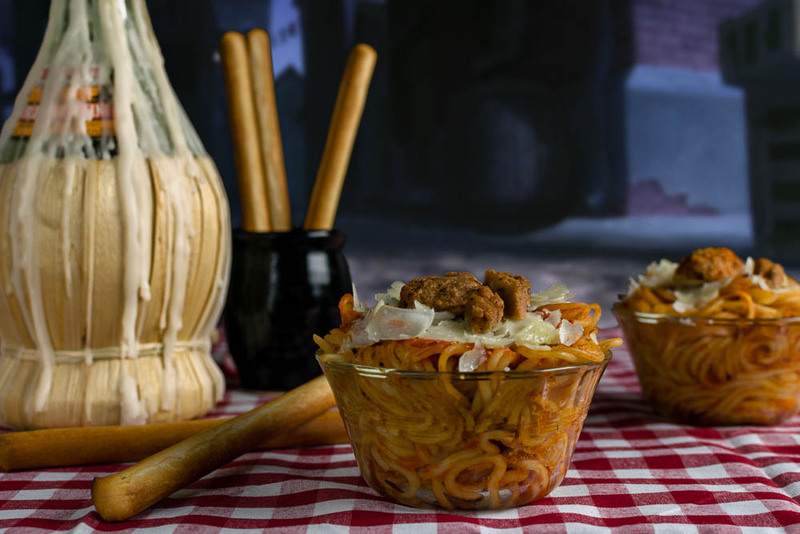 We hope you try out our Paw Print Spaghetti Cups and that they will be a part of your own Bella Notte! That isn’t all though! We have a little more magic up our sleeves! We are giving away 5 digital copies of Lady and the Tramp! However, instead of running the giveaway here on the blog, we will be giving them away on Facebook. All you have to do is Like our Facebook Page, Like the comment, and tag a friend who you’d watch Lady and the Tramp with! The winner will be picked on March 8th. Good luck! Prepare pasta per package instructions. Spray custard cups (or muffin tins) with cooking spray. Separate pasta and sauce into each cup. Bake on a baking sheets for 20 minutes. While cups are baking, prepare meatballs per package instruction. To create paw print: cut meatballs in half, cut one half of the meatball into quarters and trim to make the edges rounded. Once pasta cups are done, remove from oven. If using a muffin tin, remove from pan. Top with parmesan cheese and place meatball in the shape of a paw print. The Geeks were provided with a copy of Lady and the Tramp for research purposes. All opinions are wholly our own. Giveaway digital copies of Lady and the Tramp provided by Fingerpaint Marketing. View our Disclosure Policy for more info.